We take special pride in promoting and defending tenants’ rights regarding collection and withholding of deposits; the health, safety, and habitability of their homes; improper notices or demands from landlords; wrongful entry and eviction; retaliatory actions by landlords; and other issues affecting the quality, safety, and fairness of tenants’ residential lives. If tenants prevail in certain claims against landlords, they may demand that their landlords pay for their court costs and attorney fees in addition to damages. Cameron Sutherland, PLLC, is committed to helping tenants access legal services and remedies through these and related claims. Washington law protects tenants’ deposits by requiring open, fair, and timely deposit collection and withholding procedures by landlords. We can help you recover deposit monies from landlords who fail to follow these procedures, spend or commingle your deposit funds, exaggerate or misrepresent damages to the premises, unreasonably delay deposit refunds, and other problems. We advocate for tenants when landlords fail to properly repair or maintain building systems, appliances, and infrastructure; allow dangerous conditions or circumstances to persist; cause or ignore nuisances affecting your residential life; or otherwise infringe on your rights to healthy, safe, and decent living conditions. We help protect tenants from invasive, unreasonable, and threatening actions by landlords that affect access to and control of your home and property, lease terms and obligations, maintenance and repair activities, rent payments and penalties, terminations of tenancy, and related actions. For most tenants, the security and privacy of their home is one of the most important aspects of their residential life. We advocate for tenants whose landlords wrongfully enter, restrict access to, or force them to vacate their homes; we counsel and represent tenants involved with unlawful detainer actions; and we can help preserve and recover tenants’ property after the termination of tenancy. Washington’s Residential Landlord Tenant Act (RLTA) specifically prohibits landlords from retaliating against tenants who assert their rights and remedies under the RLTA, including reprisals such as increased rent or fees, excessive deposit deductions, lockouts and evictions, increased residential or maintenance obligations, or other retaliations for tenants’ lawful and good-faith assertion of their rights. 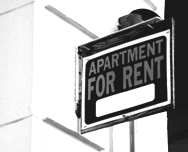 We encourage tenants to exercise their rights under the RLTA, and our attorneys can vigorously defend and advocate for tenants who are subjected to retaliation because of it.